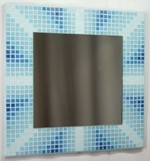 It is made from 11,526 tiles in 43 colours, with a nominal size of 1123mm wide x 1244mm high (approx 44 x 49 inches). 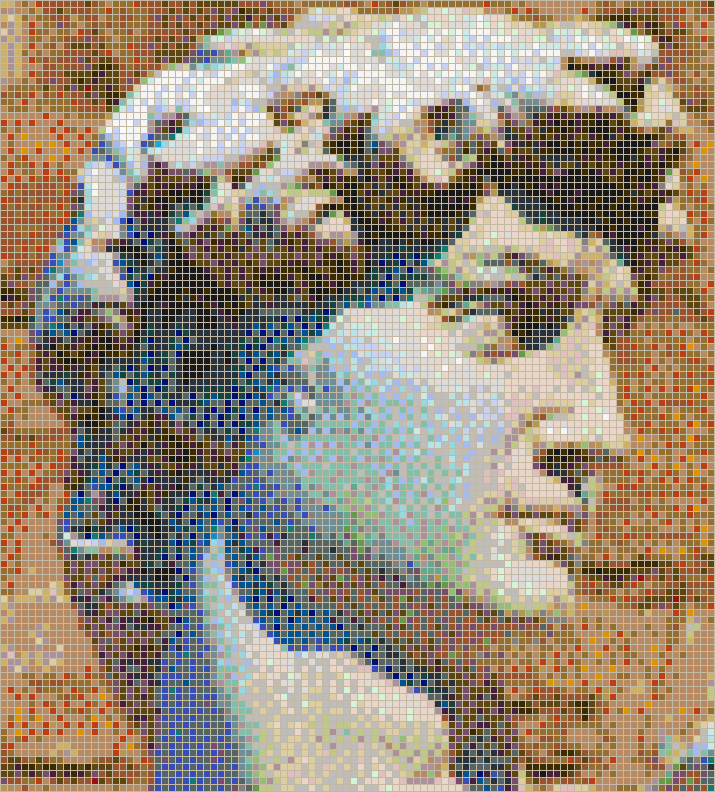 This mosaic design is Copyright © 2011 Kaamar Ltd, based on an original photograph Florence - Marble David in Piazza della Signoria by Eusebius@Commons under CC BY 2.0 licence. 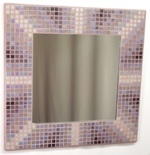 No of Tiles: 11,526 tiles (102 wide x 113 high) in 43 colours. 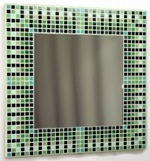 Mosaic Size: 1123mm x 1244mm nominal (approx 44 x 49 inches). 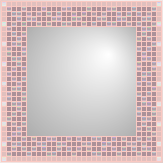 Mosaic Area: 1.397 square metres nominal.